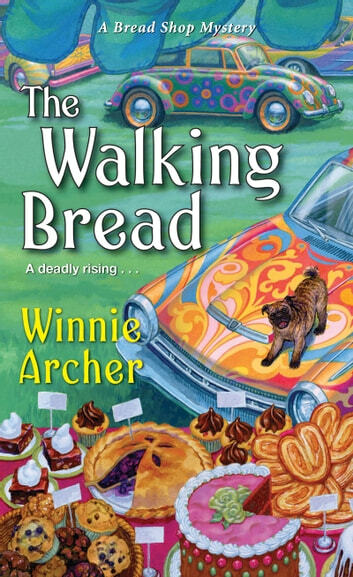 The Walking Bread by Winnie Archer is the third installment in A Bread Shop Mystery series. Ivy Culpepper lives in Santa Sofia, California which is busy preparing for the Art Car Show and Ball. Contestants spend months decorating their cars for the contest and parade. Ivy is the photographer for the event and has been busy uploading photos to the website. Ivy’s brother, Billy has not participated in a few years because he continually lost to the deceptive Max Litman. Billy has created a car to honor their mother who passed away recently. He is sure his beautiful Through the Looking Glass car will take the grand prize. Ivy is photographing the cars and is shocked by Max Litman’s creation. What Ivy thought was a prop, turns out to be Max. With the rivalry between Max and Billy well known, Billy zooms to the top of the suspect list. With Deputy Sheriff Emmaline Davis sidelined by Sheriff Lane, it is up to Ivy to find out who wants Billy to take the fall for Max’s death. Ivy, with the help of her trusty sidekick, Penelope Branford, must sift through the potential suspects, the clues, and the gossip to identify the killer. The Walking Bread is not a standalone story. You need to read Kneaded to Death before embarking on the newest book in A Bread Shop Mystery series. I found The Walking Bread easy to read courtesy of the writers’ style of writing. The pace varies throughout the book. I am happy to see Ivy happy living in Santa Sofia. She has a cozy home, family and good friends. I wish the author had taken the time to explain her job in The Walking Bread. We know she is a photographer and taking photos of the event for the city. Does she have her own business? It is not explained in this book. I found the concept of art cars fascinating. What a unique idea. The entrants take old cars and turn them into art pieces. Billy’s car sounded magical with it’s Through the Looking Glass theme. The description allowed me to imagine what the piece looked like. Max Litman is one of those characters that readers will love to hate. Immediately I could tell that he would soon be found dead and he was in a dramatic fashion. The account of his car will have you cringing (perfect for Halloween). Billy (of course) is the prime suspect so Ivy steps up to find the guilty party. Her helper is Penelope Branford who enjoys the investigations. Not many people liked the victim (shocker), and Ivy must wade through the various suspects to determine who would want him dead. The mystery can easily be solved before the solution is revealed. I felt the resolution was incomplete. There is supposition instead of facts. There are many cozy moments as Ivy spends time with her family, bakes bread with Olaya Solis, and enjoys romantic moments with Miguel Baptista. There are some tender and sad moments as the Culpepper family mourns the loss of their matriarch and share their favorite memories. I would like the books in this series to have more depth and character development. I am giving The Walking Bread 3 out of 5 stars. 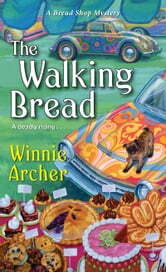 The Walking Bread is a good choice for those readers who prefer airy cozy mysteries.